Once it starts being tracked, it can come as a big and very unwelcome surprise to business owners how many potential customers are being lost during the checkout process. In this post we’ll look at three incredibly common mistakes business owners make when designing their online checkout process and how to fix them FAST so you can stop losing the money your prospects are on the verge of handing over! 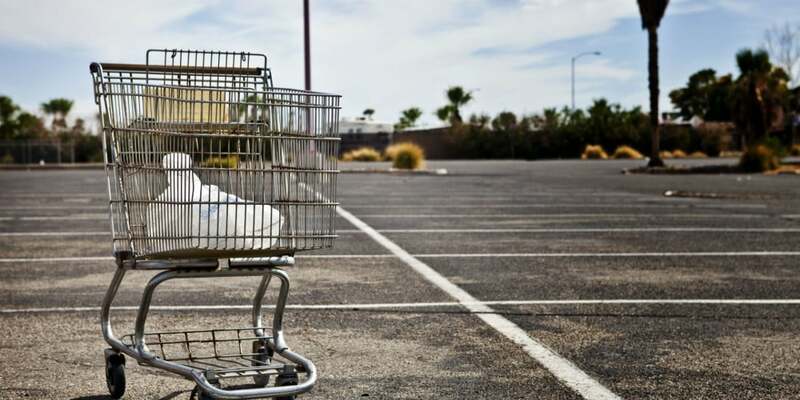 When a visitor adds an item to their cart or otherwise starts the purchase process, but doesn’t complete it for some reason, it’s known as Shopping Cart Abandonment and can lead to absolutely massive revenue loss. On the flip side, once some adjustments are made to improve the Cart Abandonment Rate (CAR), the sales INCREASE can be just as substantial. Unless you’re tracking, measuring, and testing the performance of your entire sales process, you’re never going to know what your CAR is and what the impact is of any changes you make, so if you’re serious about maximizing your businesses potential that’s the first thing you should start doing (or have Optimize Wise do it for you). However, there are three mistakes that we see on a TON of websites that are almost always costing the business owner money. Always - and I mean ALWAYS remember that your website’s job is to turn prospects into customers. Your website might help accomplish that goal by capturing leads, providing information, or any number of ways, but the end game never changes and nothing should ever be permitted to get in the way of that critical mission. It’s not going to end up on any motivational posters, but once your prospect reaches the point of your sales process that’s the equivalent of them saying, “Okay, I’ll take it,” close your virtual mouth, get out of their way, and take the money. Let me clear something up…focusing on taking the money during checkout isn’t about being greedy, it’s about helping your prospect accomplish what they want to instead of being an obstacle. Your product or service will make your prospect’s life better in some way, or presumably you wouldn’t be selling it. That being the case, it’s your job as the business owner to help them get to the point where they can experience the benefits of whatever it is you’re selling. Anything you do that gets in the way of that does a DISSERVICE to your customer. If you don’t think that’s true, you need to sell something you believe in. Period. During checkout you should only be asking your customer to provide information that is absolutely required to process the transaction. Get their name, credit card info, address if you need it, and what they want to buy - that should be pretty close to all you ask for. Everything else is an additional item that they may not know, may not want to tell you, may annoy them, or some other excuse to navigate out of your cart. Do you need to know three different phone numbers before you TAKE THE MONEY? Nope. Do you really want them to stop GIVING YOU THE MONEY so they can join your newsletter? Here’s a hint…No. It’s nice when customers Like your Facebook page, right? Not as nice as TAKING THE MONEY. Get those buttons off your checkout pages. Then there’s my all time personal pet peeve that totally astounds me every time I see it - forcing a customer to go through some sort of “Account Creation” before they’re able to give you their money. It hurts just typing it. This does NOT mean that you can’t ask your customer for all this and more, but not until AFTER the initial sale. Once the sale is complete it’s a great time to ask them to follow you on social media or share with their friends that they made a purchase. 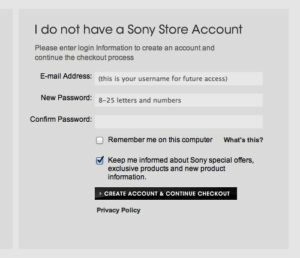 They can create an account AFTER the sale and it should be a lot easier since you’ll have most of their info already anyway. If you really want to know their fax number and their grandpa’s work phone, ask them AFTER the sale is made. This mistake is really a subset of the first one, but it’s so widespread that it deserves some extra attention. Coupons and promotions are great and should be a part of your marketing arsenal, but do you know what I do when I’m making a purchase on a site and I see a big field to enter in a promo code and I don’t have one? I leave and go try to find one. If I can’t find one sometimes I return to the site I was at purchase anyway, but then I’m a little irritated that since I don’t have a code I must not be getting the best price and I feel a little swindled. Pay Pal research has shown that approximately 27% of shopping cart abandonment occurred because the user left to go find a promo code, so this is really a HUGE issue. Prior to going back to the site “coupon-less”, I’ll usually look a little more closely at the competition to see if I can find a lower price since obviously the coupon indicates the price can indeed get lower. If you want to encourage your prospects to visit your competitors’ websites this is an ideal strategy. Unless it’s something I can’t do without and need urgently, like toothpaste or whiskey, I’ll just wait and see if I stumble across a promo code later. Sometimes I do, but more often than not I end up getting whatever I needed someplace else. It gets even worse if the item I’m buying is widely available or if the website isn’t significantly differentiated from its competitors. For instance, if I’m buying a water filter for my refrigerator and I leave the checkout to go find a coupon code or check prices elsewhere, the chances that I’m going to remember what site I was at to begin with are slim. If you’re offering a special promo by email, you can easily make the link within the email apply the discount in your cart so when the user gets to the site the price is already adjusted accordingly. If you’re running a promotion around a special event, like because it’s Christmas or my birthday, then you can put the code right on your website so it serves as an incentive to ALL your visitors. When you’re not running the promotion, the promo code field should not be displayed. If you only offer discounts to certain segments of your audience, you can only have the promo code field display only if the visitor is from a particular source. For instance, if you give discounts to your Facebook fans, then the promo code field can only be displayed when the visitor is coming from Facebook. All of these alternatives are easily implemented by a programmer even if your shopping cart doesn’t support it out of the box. If for some reason you really need to have the promo code field available to all visitors, then at least don’t rub it in people’s faces - stick it in some less obtrusive place like off to the side of the page. If someone has a promo code they’ll find where to put it. Most of all, PLEASE don’t be the business that has a big promo code field on the checkout page and then never even runs promotions. Before someone will give you their credit card information, they first need to trust you. The first thing to look at is the overall design and professionalism of your checkout pages, which many times isn’t part of your actual website but is handled through third party software or a service. It doesn’t matter how slick your website itself is, if your checkout pages look like they were coded by your neighbor’s kids back in 2002 then people won’t trust you with their data. Your shopping cart needs to be secure, which means the url’s need to start with “https://” and not “http://” and that it has a padlock icon in the address bar. If you have the type of security certificate that turns a portion of the address bar green, all the better. 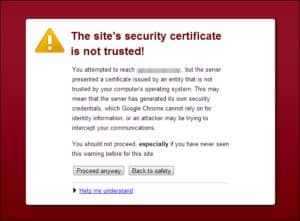 Your security certificate also needs to be installed and configured correctly or the user’s browser will do a wonderful job of throwing up all sorts of warnings to scare them away. It’s very worthwhile to consider adding trust building seals and logos to your checkout pages as well, such as those from the Better Business Bureau, VeriSign, or Truste. Which one of these will work best and where they should be placed on the page to increase conversions is something that needs to be tested and optimized. Now that you’re aware of them, you’re going to see all these mistakes and more all over the web, even on large and successful sites. That only means that they are succeeding DESPITE making these mistakes, do not take that as permission to do it too. If you’re a client of ours and want to test and implement any of these types of improvements to your customers checkout experience, just contact your Account Adviser and they’ll make it happen! Learn How We Can Help You Be Awesome Online!